Peugeot presents its latest electric bicycle. The eM02 FS Powertube mountain bike precurses a line of what the carmaker’s design lab calls “in-frame eBikes,” pedelecs with the battery integrated in the frame. The on sale is imminent. Berlin-based startup Cit-Kar is working on a pedal-assist bike of the same name. 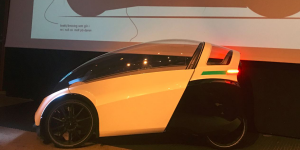 It runs on four wheels and that is not the only reminiscence of the car, as the e-bike features weather shelter and heavy load capabilities. Plus, it is more than a concept. 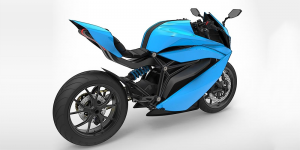 Torrot is working on an all-electric motorbike. 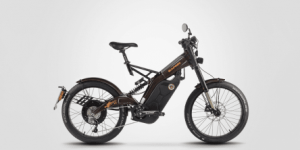 The Movak performs at 5 kW with a battery that lasts for 120 km riding both on the trail and on the road. The firm is accepting pre-orders for a deposit of 600 euros, less than a tenth of the estimated price of 7,900 euros. 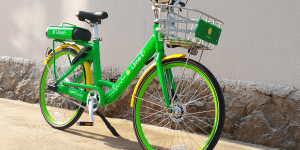 The Californian bike-sharing startup LimeBike, which already holds approximately 3,000 bicycles in Seattle, will be starting roll-out of their first 500 pedal electric bikes, which they will be calling Lime-E.
Elpedal of Norway has introduced a prototype pedelec with a twist. 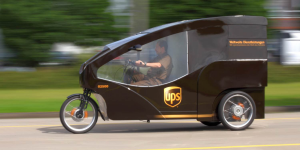 The so-called Podbike features four wheels, pedals, a drivers’ cab and a removable battery. 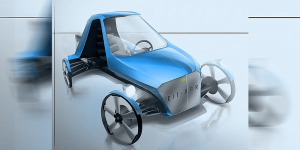 Moreover, it has a dual-motor chainless setup, which has also been dubbed a rolling chassis. 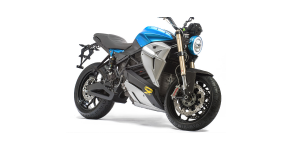 Indian startup Emflux is at the Auto Expo with its first electric motorcycle. A superbike, it says, that accelerates fast while offering a range of up to 200 km. On sale is set for 2019 and Emflux also plans to set up fast-chargers across India and Europe. The race is organized by MotoGP promoter Dorna Sports has launched the brand new support class, called the FIM MotoE World Cup. Revealed in a Tuesday launch event in Rome, the sponsors were revealed, as well as few additional details regarding the race. 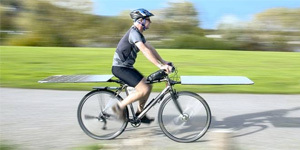 The ride share conglomerate is reportedly considering expanding into electric bicycles. In San Francisco a pilot project is to start offering the rental and sharing of ebikes in cooperation with the bike-sharing company Jump Bikes, whose 250 Pedelec electric bicycles can be rented through the Uber app. Finally. 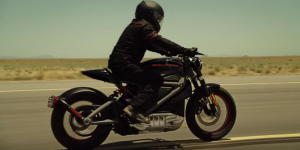 Four years after the LiveWire project, Harley Davidson confirms that an electric motorcycle is to hit the road for real. The latest strategy strengthens electrification and the first electric Harley is to go on sale within the next 18 months. This bike is a piece of Cake as in the name of the company from Sweden. 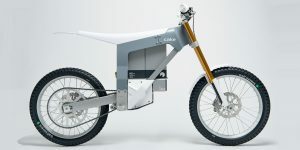 Their electric motorcycle Kalk is an all-electric dirt bike and ready to jump onto the market this June. 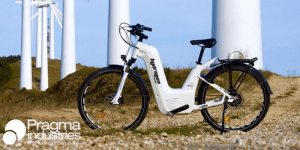 French manufacturer Pragma Industries wants to expand production of its H2 bicycles for fleet operators and municipalities from lately 100 units to 150 units in the present year. The current price of 7,500 euros is to drop to 5,000 euros. 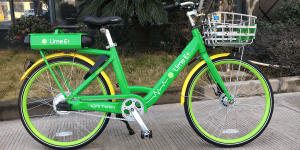 Californian bike sharing start-up LimeBike announced at CES to integrate 4,000 to 5,000 pedelecs into its fleets in San Francisco, Seattle and Miami. Soon after, the company wants to tackle the European market. 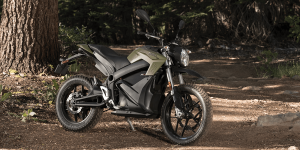 Electric motorcycle manufacturer Zero Motorcycles announced to launch an 11 kW version of its DS in Europe that provides double the battery capacity of the previous DS ZF7.2 – of course, with significant effects on the range. As the congestion zone in the British capital tightens fast, new counter measures are being set up. Among them a delivery service for businesses that uses electric cargo bikes and trikes to replace delivery vans in Central London. 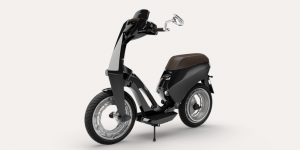 Luxembourg-based Ujet debuts its first electric scooter at the CES in Vegas and aims at design conscious city dwellers. Launch is set for early 2018 in Europe followed by the U.S. and Asia later this year. Clever integration of the battery and foldability got their price though – $8,900 to start with. Ten hydrogen-powered pedelecs with a Brose e-bike drive are now in use at a hospital in French Saint-Lô. Maker Pragma Industries claims the fleet to be a world’s first and has lined up additional orders. 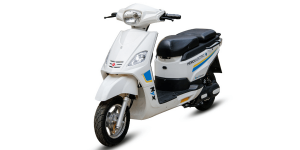 The Indian manufacturer intends to increase sales of its electric scooters tenfold within the next five years. For this year, Hero Electrics calculates with a sales result of 25,000 units. 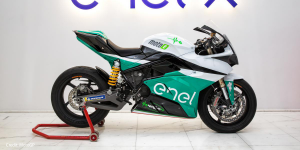 Electric motorcycle racing is getting hot as Energica becomes the exclusive partner for the electric Moto GP set to start in 2019. Pexco, the latest enterprise by KTM Industries and the Puello family known for their Haibike electric MTB, has revealed the name and lineup of their pedelec brand, all the while navigating competitive terrain. 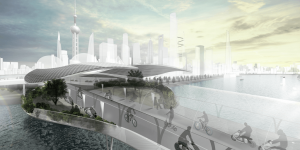 BMW and the Tongji University in Shanghai have created a common visionary mobility concept for crowded mega cities. The project called „BMW Vision E³ Way“ has been initiated by the BMW Group Technology Office China in Shanghai. Reinvigorated Spanish motorcycle manufacturer Bultaco will launch its second model in spring 2018. 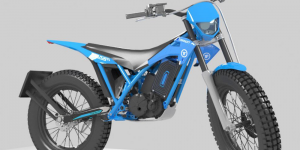 It follows the company’s debut model Brinco – a cross between an electric bike and motorcycle. 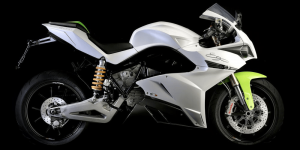 Italian electric motorcycle producer Energica used the spotlights of the EICMA to unveil its third electric model following the Ego and Eva.